Shaneiree “Shay” Dames, MBA, an Organizational and Development Professional brings change management expertise to every client’s needs. Her proven ability to aid in resolving resistance and engage both leadership and their teams to achieve sustainable business results is remarkable. She has partnered with her clients on projects to resolve the gaps in retention and engagement, business continuity, diversity and inclusion and process improvement. With over 10 years of progressive experience in Big Three Accounting, Investment Banking, Hotel/Hospitality and Non-Profit entities, Shaneiree understands the importance of team building, process improvement and effective communication. As an organizational and development coach and trainer, Shay has been recognized for her ability to build high performing teams who deliver results in complex matrix organizations. She has also received highest level performance reviews for effectiveness in designing, managing and executing cross-functional and large-scale projects. Shaneiree’s proven areas of signature strengths include leadership and development transition, strategic planning, team building, project management and executive coaching. 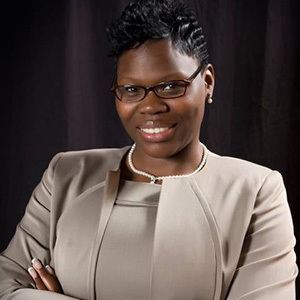 Shaneiree graduated from Strayer University in 2009 with an MBA in Finance and an MSOD (Master of Science Organizational Development) from the Philadelphia College of Osteopathic Medicine. She resides in Rockville, MD with her family.